"An incense stick feast of incense, Buddha hydrangea tea incense." Birthday / ... incense stick incense, a favorite and grand service of said hydrangea tea incense that are pleased with of Buddha on an anniversary of a death. I "was taken care of very much, and thank you last year". In 2008 thanking you in advance. What put up an oath when I ask for the prayer to the shrines and temples of this year to greet 2008 with "... ", and "I do ..." in the 20th anniversary this year when, in fact, it is it in front of Buddha God not reliance upon others to ask a partner for evenly seems to be good. And I confess it at the end of the year if I cannot do it and reflect and seem to promise again. 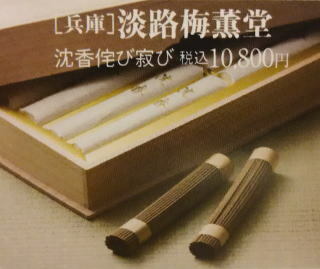 In the office of incense stick maker awajibaikundo, [a happy swallow] comes over and brings up a child every year. It must be the Kannon who tells it when the pro-swallow looking happy "is happy when the incense stick thinks about a partner not one's sake".